Here's a terrific book for those who wish to entertain their friends or business associates with clever magic that leaves a lasting impression. Until now, this hard to find, limited edition book has been available only to collectors, selling for up to 150 times its original price. 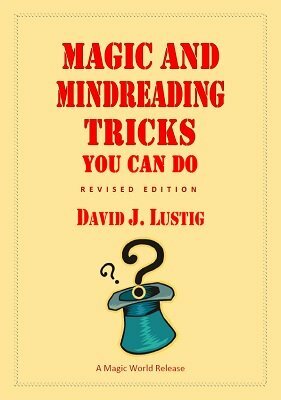 Now introduced as a convenient, digital ebook, Lustig's work will baffle a new generation of audiences with feats of magic and mindreading. Over 50 excellent, impromptu effects to show friends, family and others. While most of the effects require practice, the instructions are clear enough that even younger magicians can present baffling magic that will puzzle audiences of all ages. 1st edition 1920, PDF 66 pages.